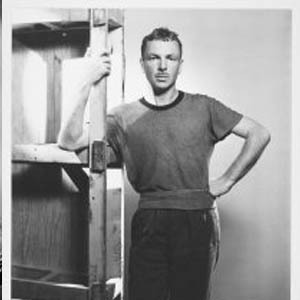 French received a Bachelor of Arts degree from Amherst College in 1925. 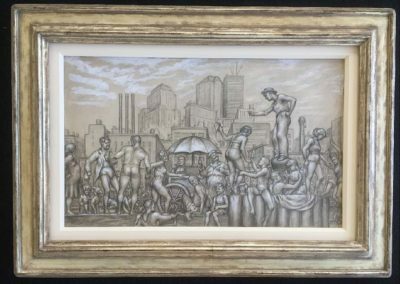 In New York City, French met and befriended Paul Cadmus. French was a painter who specialized in the medium of egg tempera. 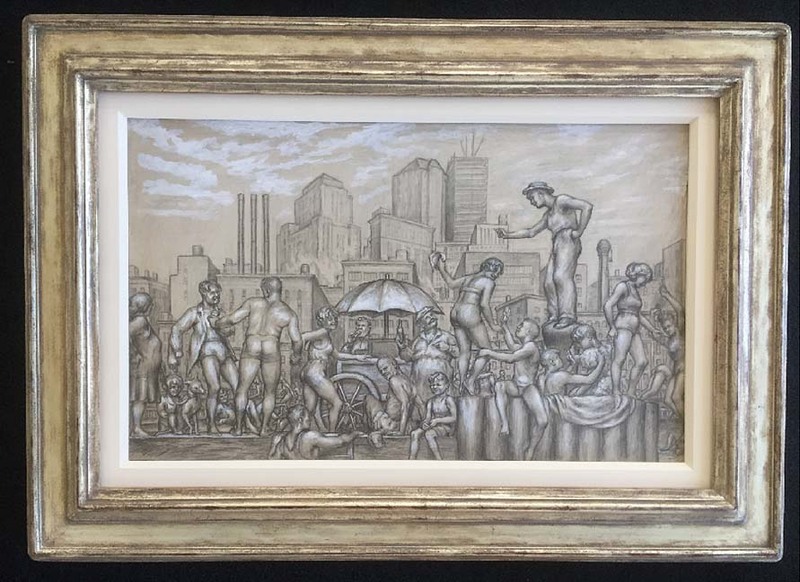 He was one of the artists along with Paul Cadmus who influenced the style of art known as “magic realism”. 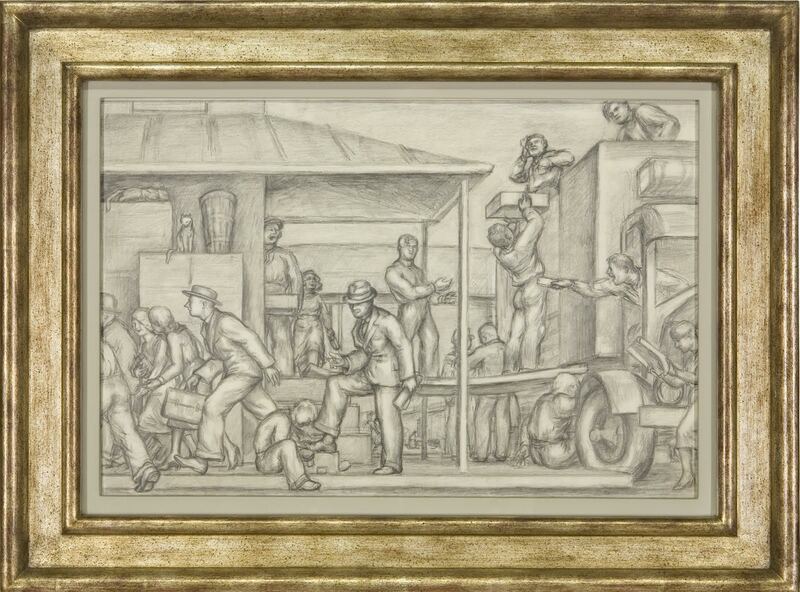 In the years to follow French painted many murals for the WPA (Works Progress Administration). His early paintings were eerie although colorful figures influenced by Archaic Greek statues, although later his work shows classical but strange organic forms that were colorful and suggestive. In the mid 1930’s French produced a mural for the post office in Plymouth, Pennsylvania. 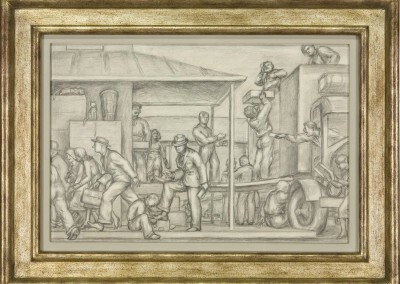 Two studies from the mural “The Early Coal Miners” are in the collection of the Smithsonian American Art Museum, Washington, D.C. French’s work can be found at the Whitney Museum of American Art, New York, New York and the Cleveland Museum of Art, Cleveland, Ohio, in addition to a large number of works on display at the Smithsonian American Art Museum. Other installations of his work can be found at the Court House Annex, Richmond, Virginia and the National Baseball Hall of Fame and Museum, Cooperstown, New York.